What an awful title, eh. Well, you can avoid making this mistake! A recent Guardian post by Conversation UK’s Akshat Rathi (he’s popular on the blog today!) discusses some of the common mistakes in popular science writing and how best to avoid them. It’s fairly general, and by no means exhaustive, and mainly for more writing about science than science writing (er, the latter being formal publication in peer-reviewed journal, I guess). But a more interesting recent find was a wonderful paper by Kaj Sand-Jensen from 2007 entitled ‘How to write consistently boring scientific literature‘, all about, well, you guessed it, avoiding some common pitfalls when writing science articles. So in true Buzzfeed style, here are the top 10 tips of how to be a terrible science writer, with some personal comments after. 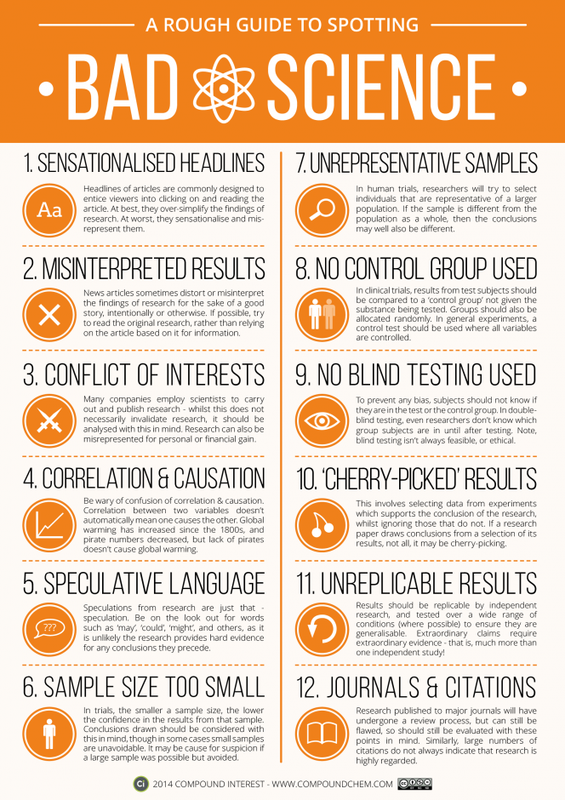 How to spot bad science too! In regard to number 8- humour. I like to use terrible puns or other silliness in the title of papers / presentations, if possible. But recently it has been film titles. Last year I published ‘Fight Club’ (about an extinct flightless bird with a club-like weapon in the wing skeleton) and this year, ‘Bone Collectors’ (about scientific excavations in caves, where the main objective was to collect bones, obviously!). But I am stuck for the next one. It’s a comparison of bone growth rates in two extinct birds. Oh I got one- ‘Need for Speed’. That’ll do.